Fair Oak cider mill and press were built from massive stones hand-carved by craftsmen and installed in their present site on our farmstead in the early seventeenth century. 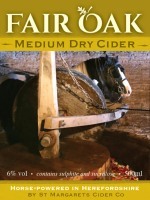 This was the time when cider making first started in Herefordshire: and it became customary for farmers to make their own cider, using their own apples, to sustain their families and workers. Cider would be drunk at all times of the day, just as we drink tea or coffee. We believe our mill was used continuously until the First World War. But then many farm labourers, and farm horses, were called up to fight, and many never returned. After the war, horses were replaced by tractors, and farms employed fewer workers. 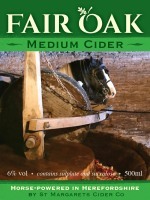 The mill and press were semi-derelict when we first came to Fair Oak; but with the help of skilful friends, and elderly neighbours who remembered making cider with horses in their youth, we were able to restore them to working order in 2012. At first we couldn’t find a horse to work the mill, and so we had to push the wheel around by hand – which took three people. But then Wendy and John Lloyd of Llanigon, who had bred and trained Pye, a young Gypsy Cob stallion, as a driving pony, heard that we were looking for a horse, and brought him for a trial run. Pye took the job in his stride, and was quickly able to do it all by himself. 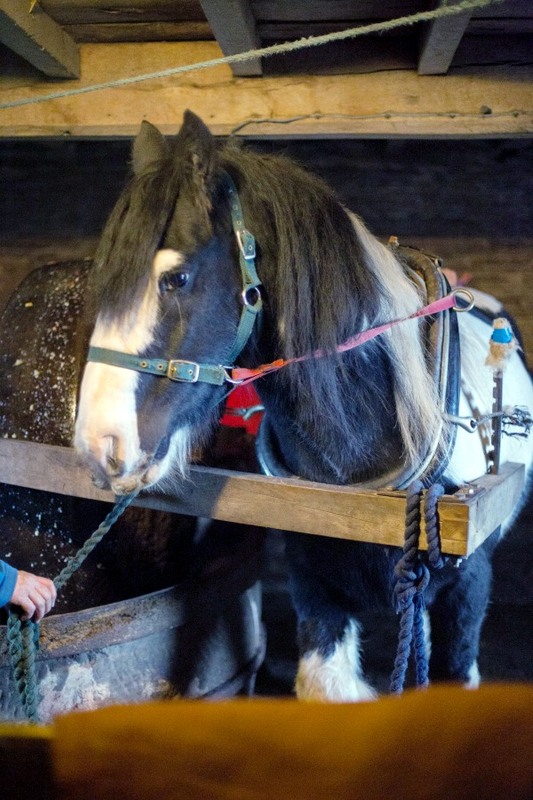 Since 2017 Pye has gone into retirement, and the mill has been worked by Tommy, another Gypsy Cob who came to the Lloyds from Scotland as a yearling. He is slightly bigger than Pye, at 14 hands, and a gelding: calm and strong and good-natured. 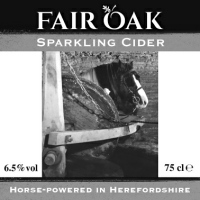 Like Pye, for most of the year he lives out on the hills, high up above Hay-on-Wye; but we like to think that he enjoys his brief spells in the spotlight, making cider.